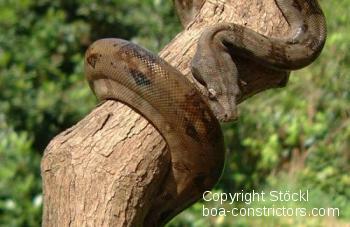 The home of the El Salvador boas lies on the fringe of the tropical zone, in the transitional area between the evergreen rainforest and the savannah belt. Alas, little has survived of the rainforests which once covered the slopes of the coastal cordillera: Just 5% of the total surface area still has a forest cover as the slopes have been chopped down for the production of plantations during the coffee boom preceding a worldwide economic crisis. El Salvador has one of the highest crime rates in Central America. Frequent earthquakes, volcanic eruptions, hurricanes, and a civil war raging in the 1980s (whose repercussions still batter this country today) lead to the conclusion that Central America has much more attractive destinations to offer. El Salvador enjoys a hot subtropical climate with high daytime temperatures. The coastal areas are extremely hot whereas the nights bring rather cool temperatures of up to 16° C (60° F). The rainy season lasts from May to October. 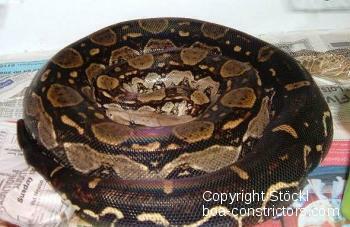 The El Salvador Boa c. imperator occurring in this country are very small. Their lengths only slightly exceed 1.5 m (4.9 ft). 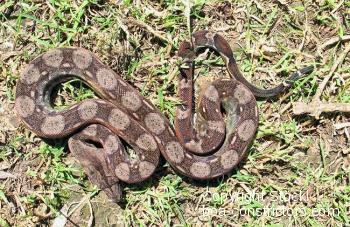 They are typical Central American boas, showing a grayish brown ground coloration and a considerable number of saddle patches (28 or more) which usually fuse into each other on the flanks. The color of the tail is rusty brown, and a similar patch is often found in the neck region as well. As far as we are informed, farmbred Boa c. imperator from El Salvador were the first snakes of this subspecies to be imported in larger numbers to Germany in 1999. These snakes turned out to be robust pets which invariably gave pleasure to their owners. These small imperator boas have also reproduced in Germany several times by now. These babies stems from the farmbred specimens who had been imported in the late 90ies. This is one of the rare cases where it isn't difficult to prove the purebreeding.